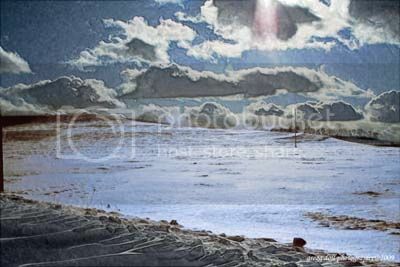 With highs only in the teens and twenties, for almost every day for a week, I stayed pretty close to home. 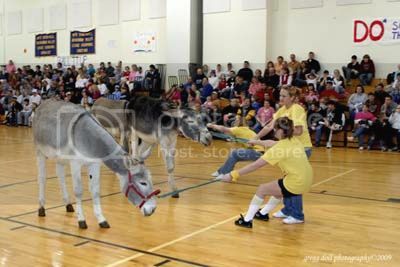 Most of the photographs this week deal with the birds and a game of Donkey Basketball held at Glendale Area High School on Saturday night. 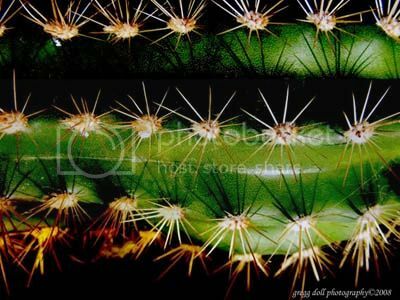 Cactus sitting in my window. 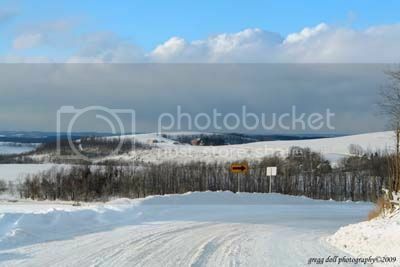 I shot this picture on a back road on my way to Patton, PA. 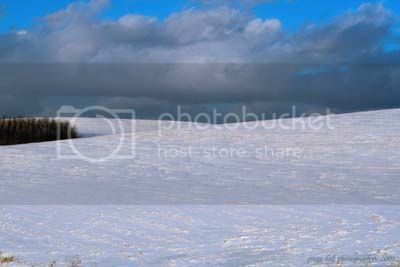 This field is along Ridge Road, Elder Township, Cambria County, PA.
Another shot on Ridge Road looking west toward the Westrick Farm. 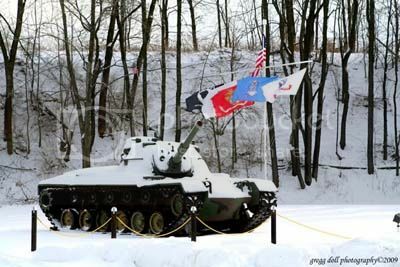 Driving thru Sankertown, PA on my way home from the doctor's office I stopped to shoot this snow covered tank. 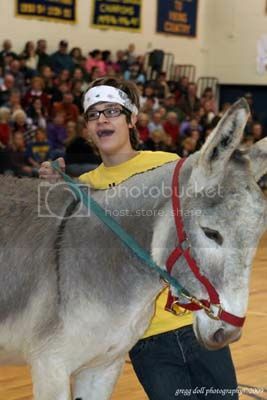 Me in the yard, Temperature 3.2 degrees F.
The Glendale High School Band Boosters sponsored a donkey basketball game on Saturday night. I couldn't believe how many people turned out for the festivities. 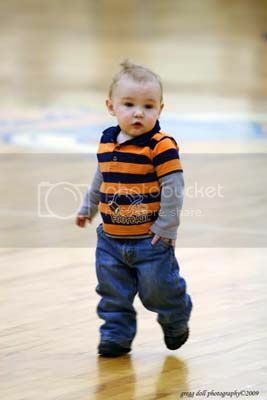 This little guy was out on the court waiting for the game to begin. 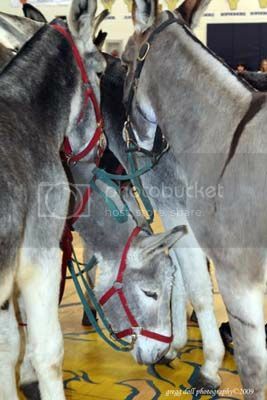 Band member trying to mount his mule. 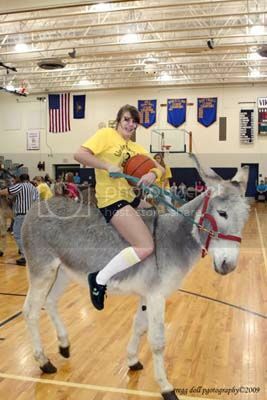 The object of the game is to get the ball into the basket without falling off your donkey. 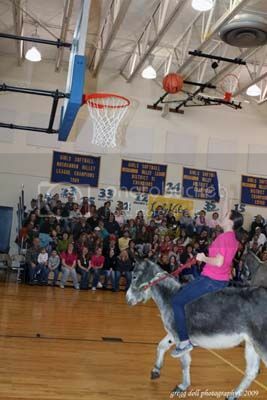 A member of the pink team riding down the sidelines heading for the basket. 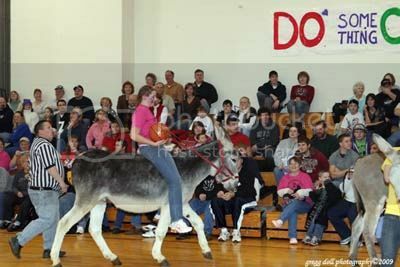 The only way to get the ball is to get close enough to it but the catch is you have bring your donkey with you and they don't listen very well. "Now that I have the ball and if this animal will listen to directions I can score a basket." 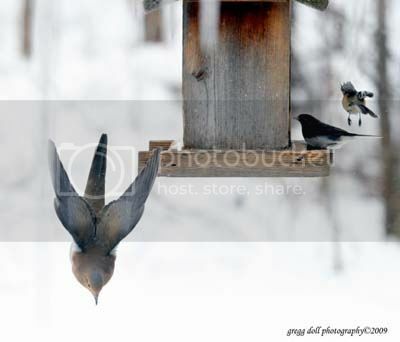 A Mourning Dove dives off the feeder headed to the water bowl. 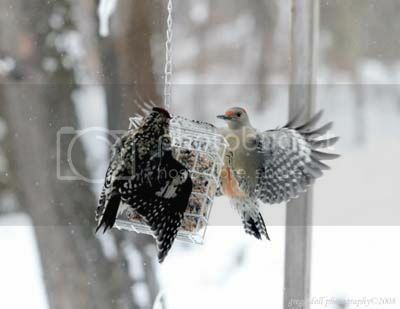 A female Red-bellied Woodpecker trying to land on the suet feeder which is occupied by a male Yellow-bellied Sapsucker. 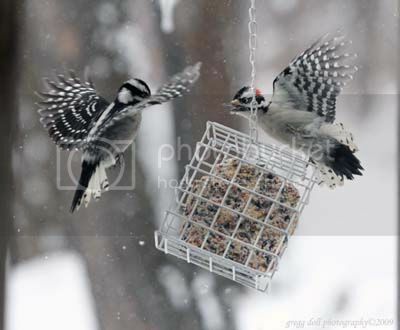 Female Downy Woodpecker also looking to land on the feed with the Yellow-bellied Sapsucker. 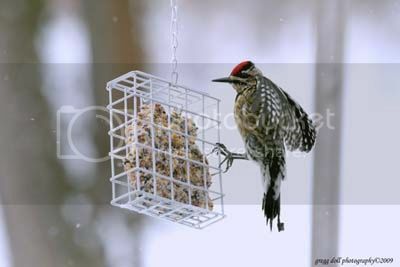 The Yellow-bellied Sapsucker tries to reclaim the suet feeder. 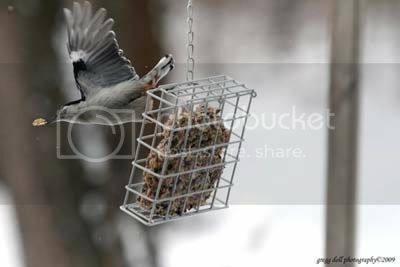 It was a good day for shooting birds at the suet feeder. 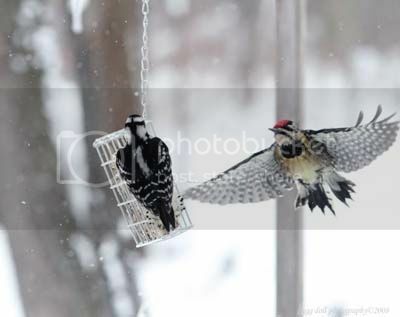 This is a pair of Downy Woodpeckers. 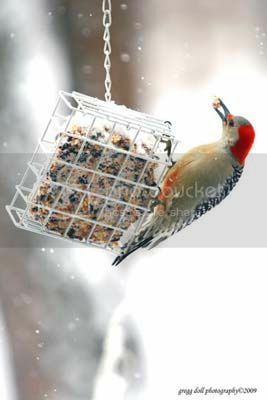 Female Red-bellied Woodpecker on one of her few trips to the feeders. White-breasted nuthatch on the wing. 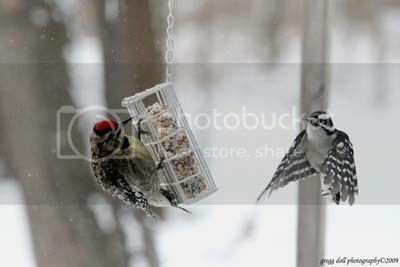 The best shot that I have of the male Yellow-bellied Sapsucker at the feeder. This is the first time this year that a yellow-bellied showed up in the yard and right now it appears it only spent two days before moving on. I had originally identified these guys as Goldfinches. But I got a call and an email from my buddy Dave, who really knows his birds, informing me that the Pine Siskin has been observed in our area. 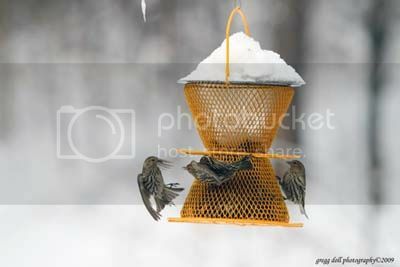 Dave reviewed this picture and said that these were indeed Pine Siskin -- Carduelis pinus. The Pine Siskin is not from this area and is here only because of the food shortage in it's normal range north of us. 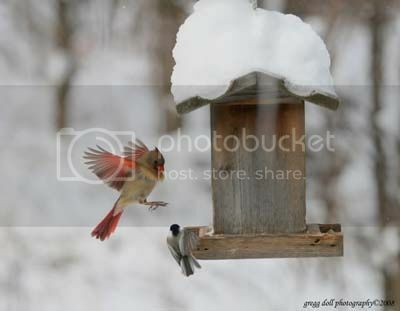 This is the first time they have visited our feeders. 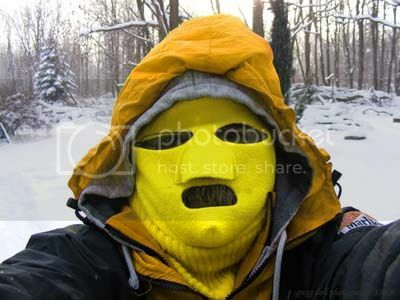 I enjoy your blog and your eye.